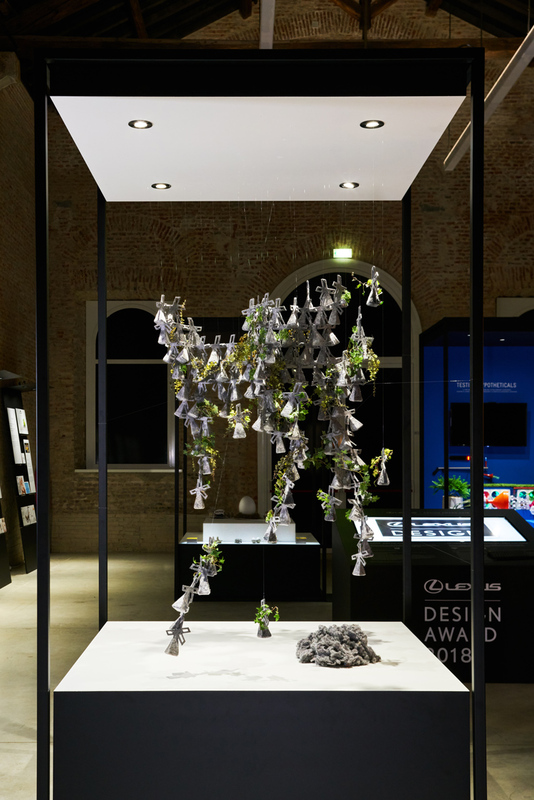 The annual Lexus Design Award, part of Milan Design Week, sees four finalists create concepts that aim to tackle world issues such as pollution, waste and recycling. We look at this year’s winners. 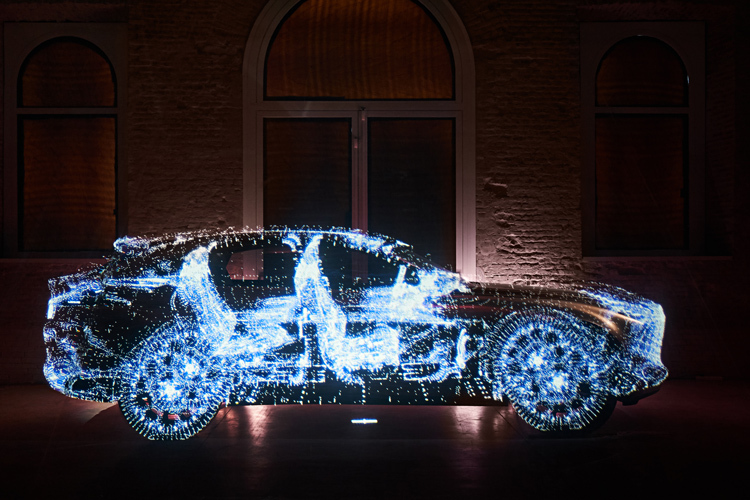 Every year, Salone del Mobile – otherwise known as Milan Design Week – is awash with installations, exhibitions and awards that look to raise the profile of international designers, while also illuminating the Italian city for six days. The Lexus Design Award is a scheme that does just this, but spotlights graduate and up-and-coming designers as opposed to established ones. Now in its sixth year, the award seeks design concepts that aim to make the world better in some way, often with a focus on the environment and sustainability, and with a different theme every year. Previous winners have included Agar Plasticity, an eco-friendly packaging solution made from seaweed, and Sense-Wear, a clothing collection that can stimulate the wearer’s senses. This year’s award saw a judging panel headed up by architect Sir David Adjaye, and received over 1,300 entries from designers in 68 countries worldwide. Based on the theme of “Co” – the Latin for harmony, as in “community” or “collaboration” – the panel was seeking concepts that explored relationships, either between different people or between people and nature. 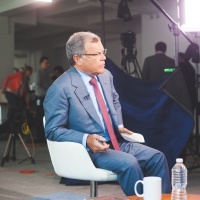 Of the 1,300 award entries, 12 finalists were chosen. This included everything from a moving and adapting chopping board designed for people with impaired hand use, to furniture and accessories made from recyclable, colourful paper. Out of these 12, four were shortlisted to receive professional mentoring and up to £18,000 each to develop their ideas into prototypes. One overall winner was also named. 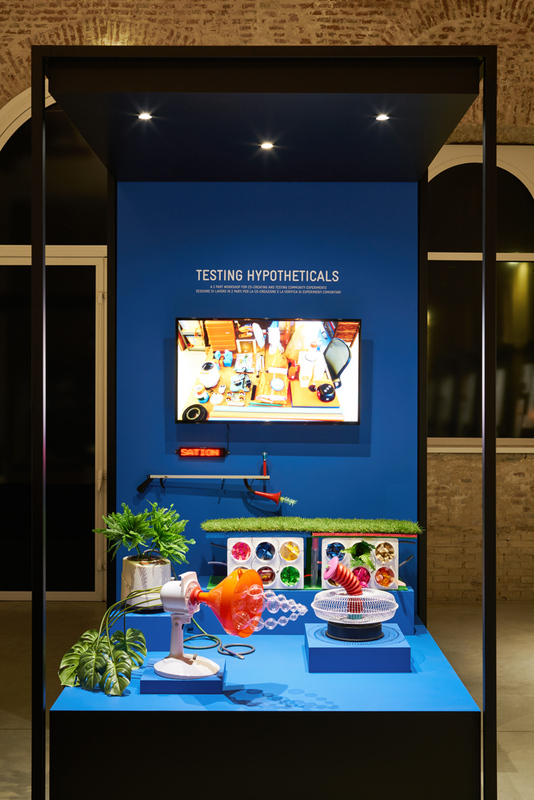 The winner was Testing Hypotheticals, by New York-based design research studio Extrapolation Factory. Rather than an object, the final design was an idea; a “test site”, where members of the public in different communities can come together to come up with solutions for different problems. Spread across four categories – fashion, products, technology and environmental – Adjaye says that the 2018 competition aimed to embrace how design is changing. Rather than just featuring tangible objects as final designs, it also featured conceptual ideas. It may seem rather contradictory that a design competition focused on bettering the environment is run by Lexus, a luxury car company. But Adjaye says that it is exactly this kind of global company that has the power to cause change. Yoshihiro Sawa, president at Lexus International, also addressed this “elephant” by saying that all car companies have a responsibility today to “think about sustainability”, adding that the luxury car brand has so far invested in one million hybrid cars – those which use a combination of a petrol engine and an electric motor. It is also currently trialling a hydrogen station, with the aim of using hydrogen as a fuel in its vehicles to reduce carbon dioxide emissions. Here is a run-down of the four winning design concepts, and why their creators feel they could make a difference to the world around them. Testing Hypotheticals is an interactive, workshop concept that uses props to engage members of communities to come up with solutions for issues such as affordable housing, better workspaces and reducing waste and pollution. Designers, communities and governments will work collaboratively, but rather than just talking or conducting market research, the workshop will be set up as a “test site”, where people can act out scenarios and use real prototypes. One hypothetical example would be a workshop developing a greenhouse or “garden” set up in an underground tube carriage, where vegetables would be grown, and then sold at various tube stops. Small-scale props would be developed to demonstrate how this would work. The first step to bring this concept to life is to work with “decision makers” at New York City Council on a test site project to turn disused areas into “functional spaces”, he adds. 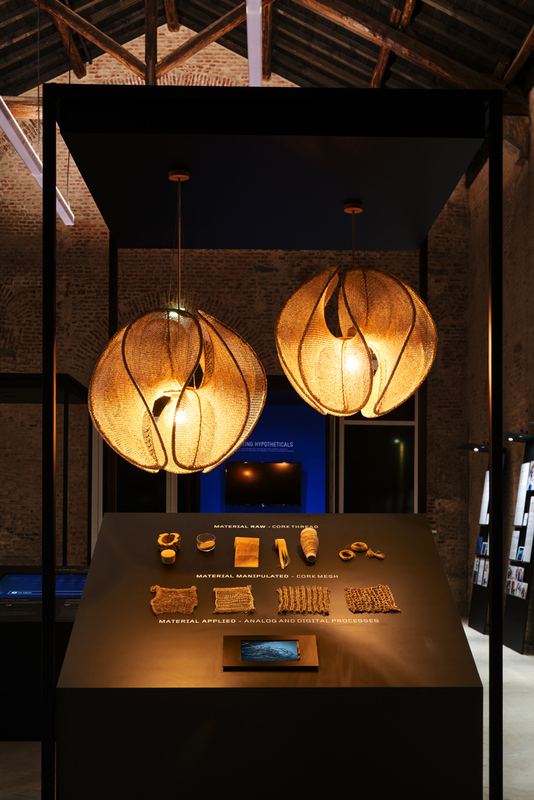 Co-Rks is a new way of making furniture out of reusable material cork, particularly through using old bottle stoppers as a source for the material. But the design process also aims to be sustainable – it uses programmed algorithms to create different designs, which aim to produce less waste than traditional craft processes, as well as requiring less man-power. Portugal-based Digitalab, co-founded by Ana Fonseca and Brimet Silva, came up with the concept, to give reused materials a “second life”, says Fonseca. By using the algorithms to create shapes, the process gives the designers more control over shape, scale, and the amount of material needed, adds Silva, while also creating perfectly geometrical shapes. It can be used to create everything from lamps to tables and chairs. It may be relatively simple to tell when a piece of fish or an apple goes bad from its smell or look. But encased in a shell, it is not so easy to tell when an egg is no longer good to eat. Honest Egg is a simple concept from Malaysia-based design studio Aesthetid, which uses ink printed on an egg shell to indicate whether an egg is past its use-by date. The ink changes colour after a certain amount of time, displaying a smiley face if it is safe to eat and a cross-eyed face if it needs to be chucked away. It also aims to reduce waste by “appealing to people’s emotions”, he says. The fun, smiley faces should hopefully encourage people to eat leftover food that is still good, rather than throwing it away as a precaution. It is no surprise that the fashion industry is incredibly wasteful, with millions of clothes thrown into landfill every year globally. While it is general knowledge that we should be recycling clothes and sending them to charity shops for re-wear, using them to grow plants is a more surprising function. Recycled Fibre Planter is a project by Japanese textile designer Eriko Yokoi, which uses recycled clothes as a soil and pot alternative in order to grow plants. Polyester fibre, commonly used to make clothes, can be used as a soil alternative when it is compressed so that it contains the right amount of moisture and air. Seeds can then be sown into the material, encouraging plants to grow, creating a unique plant-pot and giving clothes a second life. The Lexus Design Award exhibition, showcasing the 12 shortlisted designs, is currently on show as part of the Lexus Limitless Co-Existence event at Cavallerizze – Museo Nazionale della Scienza e della Tecnologia Leonardo da Vinci, Via Olona 6, 20123, Milan, Italy, as part of Milan Design Week, until 22 April 2018. For more information, head here for the awards and here for the event. 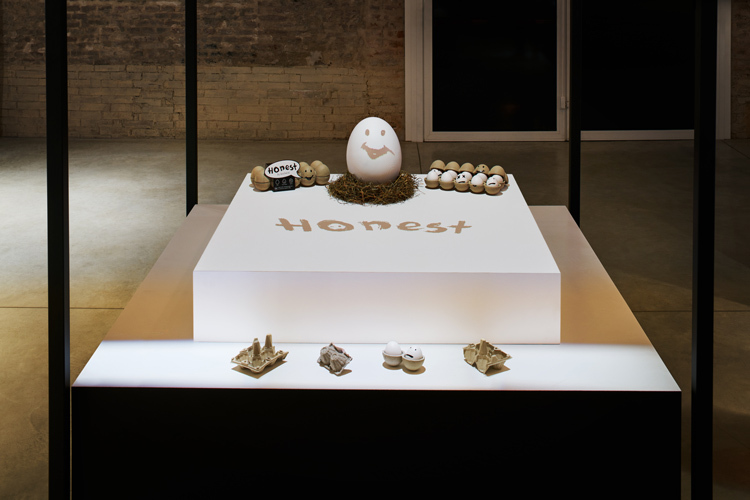 I think Honest Egg, by Aesthetid should have been the overall winner. I can see where Mr. Adjaye is coming from when he says a design can be more than just a physical product, but the ‘Egg Paint’ could be cheaply applied at farms and would save millions when it came to food waste which is one of the biggest issues we face as a global society.